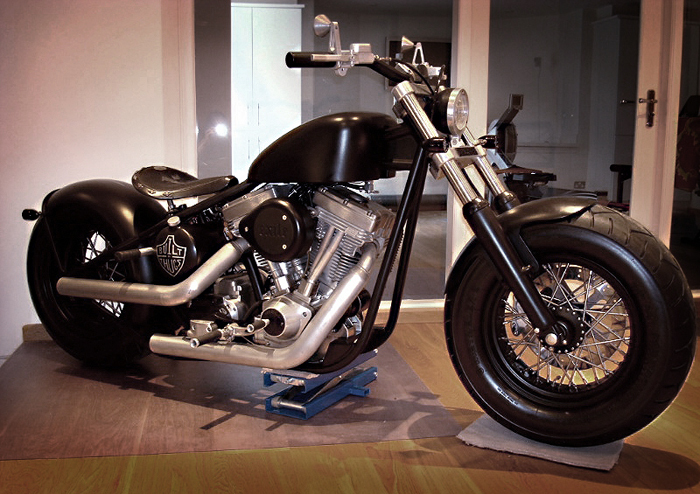 Not everyone has an Exile Cycles custom sitting in their living room (I usually keep mine in the bedroom). This bike was sent to us by Matthew from Britian, it was originally built for the tv show ‘Build or Bust’ back in 2004 and Matt had it shipped to his home in the U.K. Because it was built for the show it obviously looked amazing but was a little impractical. So he had the bike reworked to get it through the UK regulations.